One of the first questions we always get before building a deck is, How long will it take? Truthfully, this answer can vary based on the size, style, and scope of your particular project. Still, we can help you anticipate your timeline by giving you an expert’s insight on the process. It’s not the building part of the process that takes the most time, to be honest. Planning your placement, deck style, and materials can be quite time-consuming. Not to mention we’ll need to review local zoning laws to ensure our construction won’t break any ordinances before we even get started. If you need a permit, your local city/county zoning office should be able to provide one within a few business days. Just give yourself some leeway, since if they’re backed up or need to investigate your property before approval, it could take closer to a month (or more). Still, this will all go faster if you’re working with a licensed decking contractor who can help you through the process. When we’re talking about simple and straightforward deck construction, a professional crew can have the job complete in under a week. Especially if it’s of average size, between 300 to 400 square feet. For custom jobs that require more ornate installations and extra manpower, it could take up to 3 or 4 weeks to fully finish. Keep in mind, the more manpower you have, the less time it will take overall. However, you may incur additional costs for more team members and intensive labor at the end of this process. To avoid unpleasant surprises, just let our crews know what you’re looking for upfront. We can offer quotes on customizations, as well as provide a specific time frame for each additional detail. 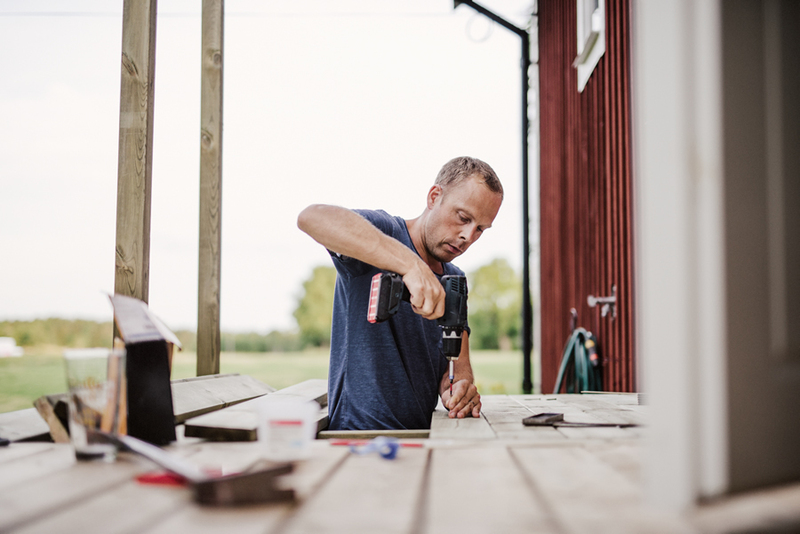 Apart from building the deck itself, your project may not be complete without a few additions. We encourage you to think about your reasons for installing new decking. Are you looking for a place to sit and relax? Or maybe an area for your pool/hot tub? Do you want a full indoor/outdoor living space complete with a dining area and outdoor kitchen? Obviously, all three of these projects will have very different timelines. Especially since constructing the deck itself is only the first step in the process. Be sure to talk to our experts about your goals so we can recommend the right materials. Ask us about our additional services, too, like the right fencing around your water feature and/or pathways to and from your new deck! Hopefully now you have a better idea of how long it will take to build a deck, as well as the thought process and planning behind it. For more information and/or a personalized quote on your next project, please contact your local fencing and decking experts! We’ve constructed countless decks throughout Central Maryland, and we’d love to help you with yours. This entry was posted on Wednesday, April 10th, 2019	at 3:08 pm	. Both comments and pings are currently closed.